The Plaza has Eloise, a fictional little girl who has the run of the hotel. Since the 1930s, the Algonquin has had a series of cats, all named Matilda, in its lobby. But the Carlyle does them one better. It has Elaine Stritch — a living, breathing icon of the Broadway stage (now co-starring in the Tony Award-winning revival of “A Little Night Music”) — who’s made the historic Upper East Side hotel her own special kingdom. Tony & Emmy Award winner Elaine Stritch, currently starring opposite Bernadette Peters in Stephen Sondheim and Hugh Wheeler’s A LITTLE NIGHT MUSIC, directed by Trevor Nunn, will be interviewed by Michael Riedel and Susan Haskins on “Theater Talk” this Friday, October 22 at 1:00 AM EST on WNET-TV (Channel 13). After premiering on Thirteen, Friday, October 22, the Elaine Stritch interview will repeat on CUNY TV: Saturday, Oct. 30 at 8:30 PM; Sunday, Oct. 31 at 12:30 PM, plus Monday, Nov. 1 at 7:30 AM, 1:30 PM, and 7:30 PM. It will also air on NYC TV and NJN in New York City. 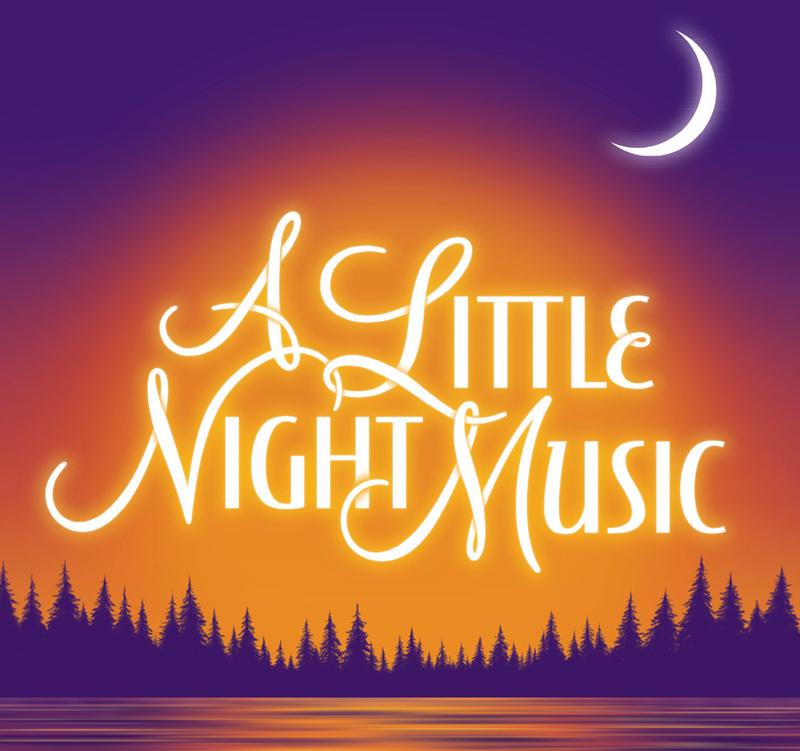 A LITTLE NIGHT MUSIC is now playing at the Walter Kerr Theatre (219 West 48th Street) through Sunday, January 9, 2011. A LITTLE NIGHT MUSIC stars Bernadette Peters as Desirée Armfeldt, Elaine Stritch as Madame Armfeldt, Stephen R. Buntrock as Fredrik Egerman, Bradley Dean as Count Carl-Magnus Malcolm, Erin Davie as Countess Charlotte Malcolm, Leigh Ann Larkin as Petra, Hunter Ryan Herdlicka as Henrik Egerman and Ramona Mallory as Anne Egerman. The cast also includes Ron Bohmer, Ben Davis, Jessica Grové, Gina Lamparella, Katherine McNamara, Jayne Paterson, Kevin David Thomas, Keaton Whittaker, Karen Murphy, Erin Stewart, Kevin Vortmann. Trevor Nunn’s production of A LITTLE NIGHT MUSIC debuted to critical acclaim at London’s Menier Chocolate Factory in November 2008 and subsequently transferred to the West End where it played a successful limited engagement through July 25, 2009 at the Garrick Theatre. The first Broadway revival of A LITTLE NIGHT MUSIC began performances on November 24, 2009 and officially opened on December 13, 2009 at the Walter Kerr Theatre starring Catherine Zeta-Jones and Angela Lansbury, who played their final performance on Sunday, June 20, 2010. Bernadette Peters and Elaine Stritch began performances on Tuesday, July 13, 2010. The creative team for A LITTLE NIGHT MUSIC includes Lynne Page (Choreography), Caroline Humphris (Musical Supervision), David Farley (Set & Costume Design), Hartley T A Kemp (Lighting Design), Dan Moses Schreier and Gareth Owen (Sound Design), Paul Huntley (Wig Design), Jason Carr (Orchestrations) and Rob Bowman (Musical Direction). A LITTLE NIGHT MUSIC is produced on Broadway by Tom Viertel, Steven Baruch, Marc Routh, Richard Frankel, The Menier Chocolate Factory, Roger Berlind, David Babani, Sonia Friedman Productions, Andrew Fell, Daryl Roth/Jane Bergère, Harvey Weinstein/Raise the Roof 3, Beverly Bartner/Dancap Productions, Inc., Nica Burns/Max Weitzenhoffer, Eric Falkenstein/Anna Czekaj, Jerry Frankel/Ronald Frankel, James D. Stern/Douglas L. Meyer. (NEW YORK) – Elaine Stritch wants to tell an embarrassing story. And when Elaine Stritch wants to tell a story, you listen. “I have no secrets,” the 85-year-old Broadway legend says by way of introduction as she sits at a makeup table getting her eyes done a few hours before a performance of A Little Night Music. A few days ago, Stritch begins, she was at her Midtown hairdressers for a three-hour appointment before a show when she realized she’d forgotten her teeth. 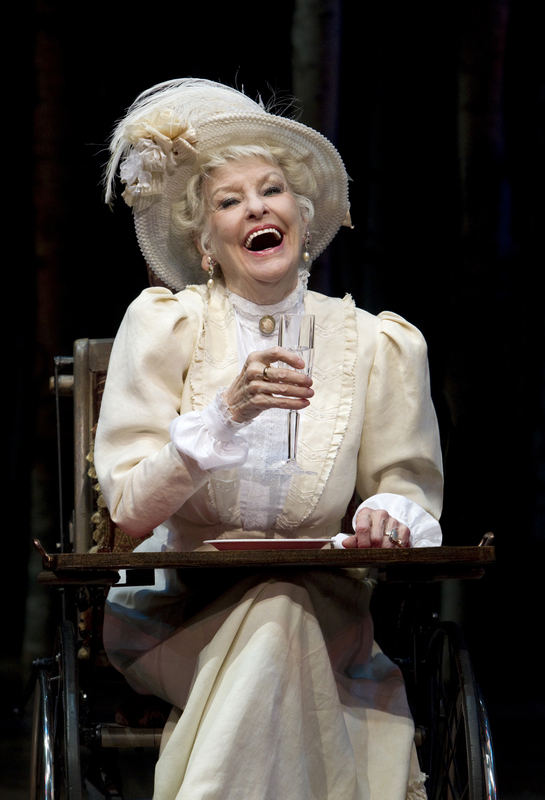 Stritch, who calls herself “a brittle diabetic,” has two sets of dentures, one for the stage and one for regular life. She didn’t have the ones for the theater. Stritch had no time to waste: She called over to the Carlyle Hotel, where she lives these days, to ask an assistant to find the stage teeth — they’d be in a little white container in the bathroom. She wanted them brought down to the front desk. Then she tried to call her hired limo driver, who was idling outside the salon. But she didn’t have his number, and there was no time to find the car service’s number. So Stritch, in a bit of a panic by now, went out to find him. Spend an hour with Stritch and you’ll get a lot of stories like that — funny, self-effacing and revealing. The woman seems to have an iron core: brassy and exacting and salty, but also accommodating and full of wit. at the Walter Kerr Theatre (219 West 48th Street) through January 9, 2011. A BROADWAY CELEBRATION: IN PERFORMANCE AT THE WHITE HOUSE will premiere Wednesday, October 20 at 9:00 p.m. ET (check local listings) on PBS stations nationwide, followed by an encore presentation at 10:00 p.m. The sixty-minute television special is emceed by Nathan Lane and includes Idina Menzel, Brian d’Arcy James, Audra McDonald, Chad Kimball, Elaine Stritch, Marvin Hamlisch, Karen Olivo, Tonya Pinkins, Assata Alston and a youth ensemble from the Joy of Motion Dance Center and Duke Ellington School of the Arts, with Danielle Arci and Constantine Rousouli. A BROADWAY CELEBRATION: IN PERFORMANCE AT THE WHITE HOUSE is a PBS music special in the East Room of the White House. President and Mrs. Obama hosted the event on Monday, July 19, 2010, featuring a series of performances by major Broadway artists and new talent presenting selections from American musicals that reflect the spirit, energy and ambition of America. Due to popular demand, Tony, Grammy & Golden Globe Award winner Bernadette Peters and Tony & Emmy Award winner Elaine Stritch have extended their stay in the Broadway revival of Stephen Sondheim and Hugh Wheeler’s Tony Award–winning masterpiece A LITTLE NIGHT MUSIC, directed by Tony Award-winner Trevor Nunn. Peters & Stritch were originally only scheduled to perform through Sunday, November 7, 2010 and will now stay with the production through its final performance at the Walter Kerr Theatre (219 West 48th Street) on Sunday, January 9, 2011 at 3:00 PM after 20 previews and 425 regular performances.